In a review of Ullica Segerstrale’s biography of the evolutionary biologist William D. Hamilton (“Inclusive Fitness," TLS 8/2/13), Nature’s Oracle: The Life and Work of W.D. Hamilton Jennie Erin Smith makes the following comment “The concept of inclusive fitness argued that an organism could increase its genetic success not merely by reproducing itself, but also by aiding the reproduction and survival of relatives carrying some proportion of identical genes.” What Hamilton was trying to deal with was essentially altruism or “why an animal should forego reproducing…or expose itself to danger to warn its fellows of a predator.” When you think of it altruism is actually contradicted by natural selection. Yet rather than being an aporia, it falls into a category that is becoming increasingly common amongst high level thinkers in both science and philosophy. For instance Thomas Nagel, who defines himself as an atheist, still maintains in his current book Mind and Cosmos, that pure naturalism cannot effectively explain the emergence of consciousness. The “inclusiveness”of a thinker like Nagel bears comparison to Hamilton who also exhibits a kind of scientific thinking that takes nothing for granted. But Hamilton who believed in Segerstrale’s words that warfare “could be seen...as adaptive rather than pathological” could also be quite provocative. 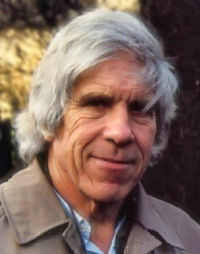 Thinkers like Hamilton and Nagel, along with the utilitarian philosopher Peter Singer of Animal Liberation fame are part of the “more things in heaven and earth” club who ask uncomfortable and bothersome questions that are bound to upset the applecart for purists who are unable to tolerate a multivalent view of the world. Philosophic and scientific multitasking is the name of this game. I have concerns about the definition of consciousness. Likewise 'success' when talking about culture or nature. These concepts are a lot like quantum physics--depends on the observer...specifically, the viewpoint of the observer. It would be absurd (and impossible) to ask a human to have anything other than a human-centric view of the world. Out of curiosity, however, I'll have to ask my friend who converses with rocks what they have to say about the nature of consciousness. The problem is that we are now in a moral maelstrom. Kierkegaard said subjectivity is truth, but is this true? If I ask for directions and someone tells me take a right and a left and i keep going straight, I will not reach my destination. The shortest distance between A and B is a straight line. What is the philosophic and ethical straight line between two thoughts. This I think, would be an admirable objective, going against the current tsunami of fashionable subjectivity. I certainly don't want to be accused of moral subjectivity...however, the usefulness of truthful information depends on the frame. If I'm going to China, the fact that the shortest distance is through the earth does me little good. If I'm going to the library, the shortest distance is also the most practical course. While I agree with Plato that "A is A" (construing it as 'good is good and evil is evil') I find that moral values are complex and multilayered. There is rarely an 'A' that all can agree on, except among idealogues. However, I'm game for a handful of basic moral 'truths' and values if everyone else is. How about CS Lewis' intrinsic moral laws he describes in Mere Christianity? Though really, Francis, you can't possibly expect moral behaviour, subjectively or objectively, in a narcissistic nation of liars. Your article reminded me of something I once thought while examining the logical reason that humans should have developed a conscience. Concience seems like such a handicap when it comes to survival. Imagine a leopard questioning the morality of it's actions while taking down a sick or very young deer. "Am I doing the right thing?" Conscience does not seem to fit with survival on this planet. Natural selection and survival of the fittest don't seem to have room for it and any aminal that displayed a conscience would be severly handicaped. So this line of thinking brought me to the question of why do humans have this "handicap"? I think that conscience is the one essential tool needed to acquire the intelligence and by extension the technology for space travel. The dimensions of the universe being what they are, there is no practical way to travel using conventional means. In the same way ancient people had to invent boats to travel the oceans and rivers, we will have to find a way around the limitations of space travel based on propulsion, as even if we had a craft capable of anything near light speed, that is still far too slow to reach anything beyond our galazy in anyones life time. No, we will have to find a way around the obstacle which Einstien illuminated for us and I think we will. Light speed is the speed limit for subatomic particles, but we arent bound by that. It's not like electrons are trying to go any faster so that they can explore the outer reaches of the universe in a reasonable amount of time, but we are. And I think the development of "conscinence", so incompatible with survival on earth will be our key to developing the technology required for any real exploration of outer space. Your point is absolutely brilliant and points to one of the paradox’s of the mind: that the thing that that may allow it (or consciousness) to perpetuate itself is not naturally selective. Here are two past Screaming Pope posts that address the issue of space travel in specific. Hi Francis, this is Bill Allgood, the actor from Erotomania: First Date. We spoke briefly on the set. I love your articles from the Screaming Pope. Have You Made Your Arrangements II? Have You Made Your Arrangements?